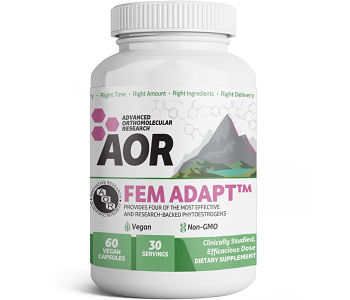 This is a review for Fem-Adapt and will explore the facts. 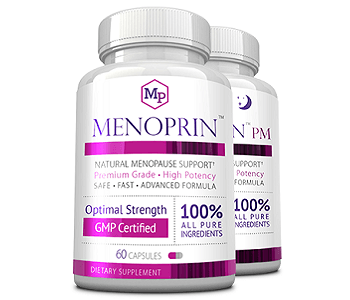 This product claims that is is a vitamin supplement specially designed to give you relief from menopausal symptoms. It claims to use a formula that will help create hormonal balance. The manufacturer claims that this product will help to reduce hot flashes and night sweats while also encouraging mood balance. It is also claimed to assist with balancing hormones, lowering the risk of postmenopausal diseases. Flax extract contains a rich source of healing compounds that are beneficial for bone health. Soy isoflavone extract may help control vasomotor symptoms such as hot flashes. Black cohosh extract can be used to help treat the hormone-related symptoms women experience such as premenstrual syndrome, menstrual cramps, and also menopausal symptoms. Lifenol hops extract is a plant extract that is said to be beneficial for its role in relieving your menopausal symptoms such as hot flashes. The manufacturer recommends that this dietary supplement is intended for adults. It is suggested that you should take two capsules per day or alternatively as instructed by a doctor. You should preferably take these capsules a few hours before or after using other medications or health products and you should also consult a doctor regarding use longer than one year. It is cautioned that this product should be used with the guidance of a doctor especially when nursing or using other medications or if you have a history of any medical conditions including depression. It is also warned that you should stop use and consult a doctor if you experience breast tenderness or recurrence of menstruation or spotting. This product is not safe for pregnant women and it may also cause drowsiness. Unfortunately, it also contains soy. You can purchase a bottle containing 60 veggie capsules from third-party retailers such as Amazon for around $39.99 which is 30 servings or, a one month supply. Unfortunately, there does not seem to be any discounts available for this product. It is disappointing that not only is there no manufacturer’s money back guarantee offered for this product, but there are also no customer reviews which definitely raises concerns regarding the general quality and effective results this product may offer. When considering that this supplement does use natural ingredients and some may be beneficial for the treatment of menopause symptoms, it could be an ok product, however, it is extremely concerning that there are some possible side effects and even allergic reaction as it contains soy. It is more worrying that this product has no money back guarantee from the manufacturer and even more worrying that there are no customer reviews available which could provide a social guarantee regarding aspects such as quality and proven results from people who have used this product. It may be a good idea for you to keep looking for a more suitable product.